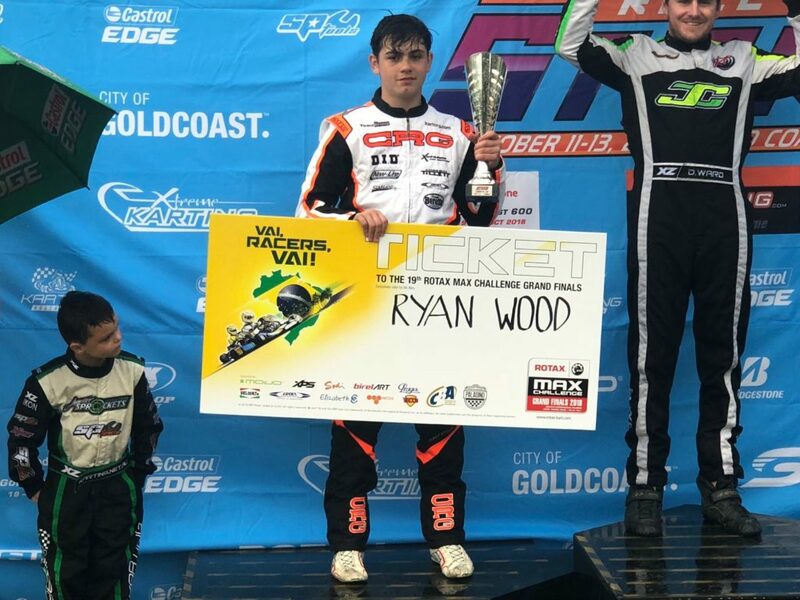 New Zealand KZ2 class Sprint champion Mathew Kinsman bounced back for a top 10 finish in his Final while young gun Ryan Wood made a big impression on his Senior debut in the Rotax DD2 class at the sixth annual Race of Stars international kart event at Pimpama on Queensland’s Gold Coast on Saturday. The pair, Kinsman from Auckland, Wood from Wellington, were two of seven Kiwi karters who crossed the Tasman for the high profile meeting. 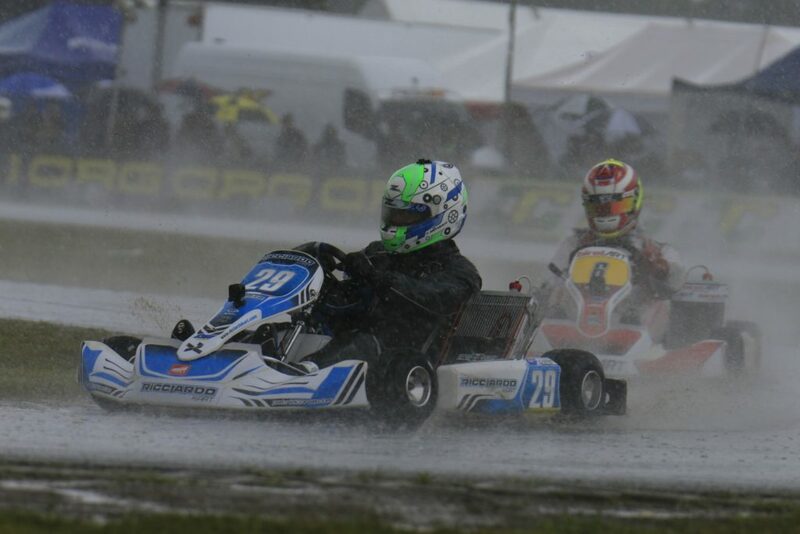 Kinsman was the best Kiwi qualifier, setting the fifth quickest time in a KZ2 class which included two-time CIK-FIA World KZ class champion Paolo De Conto from Italy and two-time French champion Anthony Abbasse, but had a frustrating run in the heats. With two dnfs out of three heats it left the multi-time NZ Sprint class champion starting the Final from the back of the grid but in one of the best fightback drives of the meeting the Auckland-based kart importer nnd distributor had made it up to 13h place in just four laps then to 11th in two more to eventually greet the chequered flag in 9th, one place ahead on fellow Kiwi, and 2107 KZ2 class Sprint champion Dylan Drysdale. 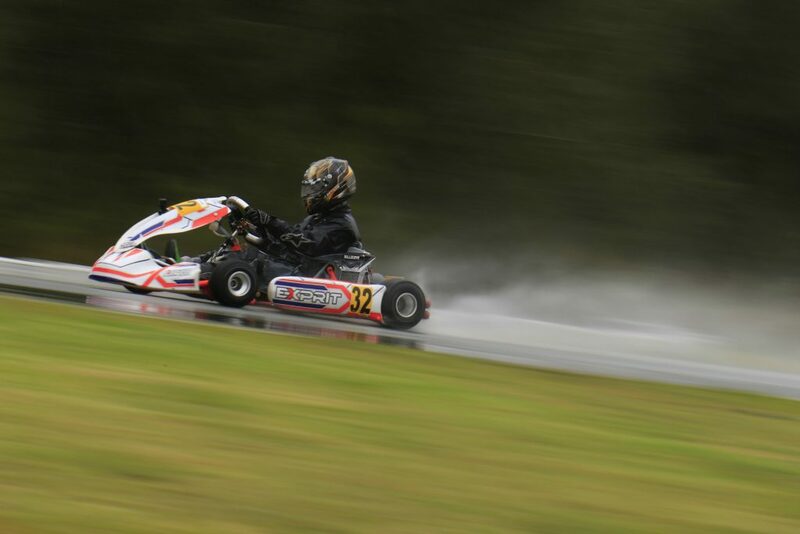 Drysdale was another to struggle with consistency in the changeable dry/wet weather and track conditions, qualifying an uncharacteristic 15th before a best placing of 4th in the first heat but pair of P11s and a dnf in the others. That left him starting and finishing the KZ2 class Final in 11th, though not before dropping back to P13 and having to do it all again. This time he got as high as 9th before being classified 11th. Meanwhile, former Junior star, Ryan Wood from Wellington, could hardly have got his debut in the Senior ranks off to a better start, earning the last spot on the Australian team travelling to contest the Rotax Max Grand Finals in Brazil at the end of next month, with a stunning drive to 2nd place in the Rotax DD2 class Final. Wood ended up 2nd in the race after a last lap challenge between he and fellow 15-year-old Jac Preston for the final Australian place in the team. Preston was the early race leader however local ace Kris Walton got past him and then quickly fell into the clutches of a charging Wood, who started at the rear of the field. Preston threw out a challenge on the last lap to Wood, but overshot the corner and didn’t finish the race, leaving Wood to finish second. Kris Walton crossed the line first but ended up third after a two place penalty for a nose cone infringement was added to his result, elevating JC Kart driver Damian Ward to first ahead of Wood. 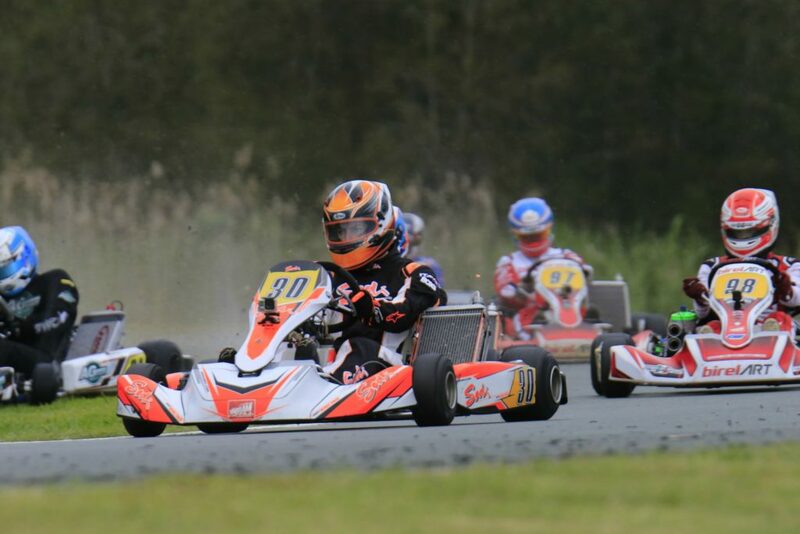 Another recent graduate to the Senior ranks, Joshua Bethune from Auckland, also enjoyed a good weekend in the Rotax DD2 class, qualifying 8th and finishing 5th in the Final. The other three Kiwis enjoyed mixed fortunes. Sebastian Manson from Auckland, and Emerson Vincent from Pukekohe finished 13th and 17th respectively in the Cadet 12 Final, however Liam Sceats, also from Auckland, qualified 8th on debut in the KA2 Junior class but after a strong third in his first heat then sixth in his second failed to finish both the third heat and the Final. 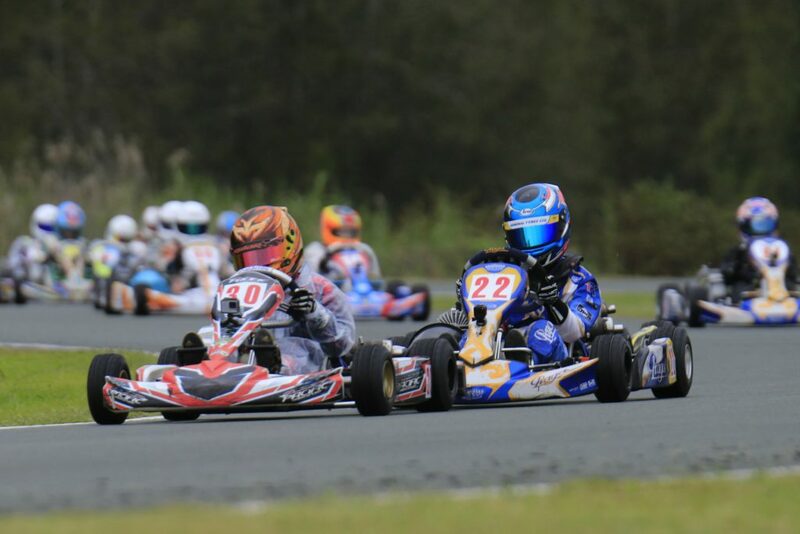 This year’s KZ2 class Race of Stars Final was won by Frenchman Anthony Abbasse, the works Sodi Kart driver becoming the fourth winner to etch his name onto a Gold Coast 600 Race of Stars Surfboard in the six years the event has been run. 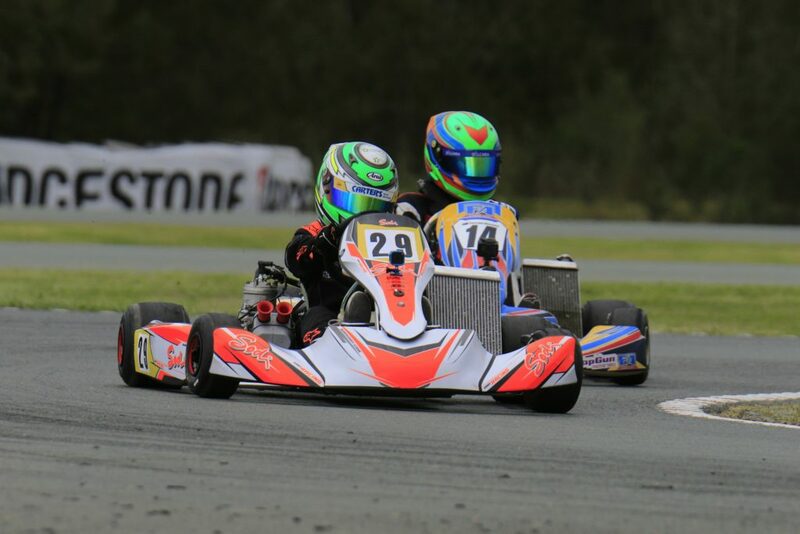 After an early race battle with Australian champion Aaron Cameron and after a few exchanges for the lead, Abbasse edged away to eventually cross the finish line 5.3 seconds in front of BirelART’s Marijn Kremers, who was later penalised two places after a front nose cone infringement. That elevated two-time Race of Stars winner Paolo de Conto (CRG) to second place, the double World Champion working his way up through the field after starting from 18th on the grid. Chris Hays was awarded the Jim Morton Trophy presented by Castrol EDGE as the best placed Australian after his third place finish following Cameron dropping down the order. The three-day meeting is part of the big SuperFest promotion leading up to the Vodafone Gold Coast 600 Supercar race on the streets of Surfers Paradise over the October 20-21 weekend.